Seasons change, weather changes, and so does our dinner table. Which products are better for autumn, so that we could resist virus diseases and common cold better? What food will give us enough energy to successfully manage through the forthcoming dark and cold period? Which products will support our health and keep us warm when it’s cold outside? You will be able to get answers to these and many other questions during the Healthy Food Days that will take place in Delice and Solaris food stores. 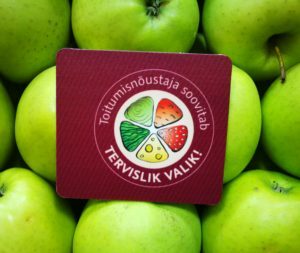 Our nutrition consultants selected special products, which you will be able to find in stores under the “Tervislik valik!”(“Healthy choice!”) label. May 4 through May 7 at Delice and Solaris grocery stores one lucky customer will be drawn to receive a full refund of their purchase! No matter if you purchased items for € 1 or € 100 – the raffle is open for all.